Maturation: De-stemming and subsequent fermentation in a stainless steel tank at a controlled fermentation temperature with a must contact time of 10 days. Ecological acid degradation and storage in large wooden barrels. 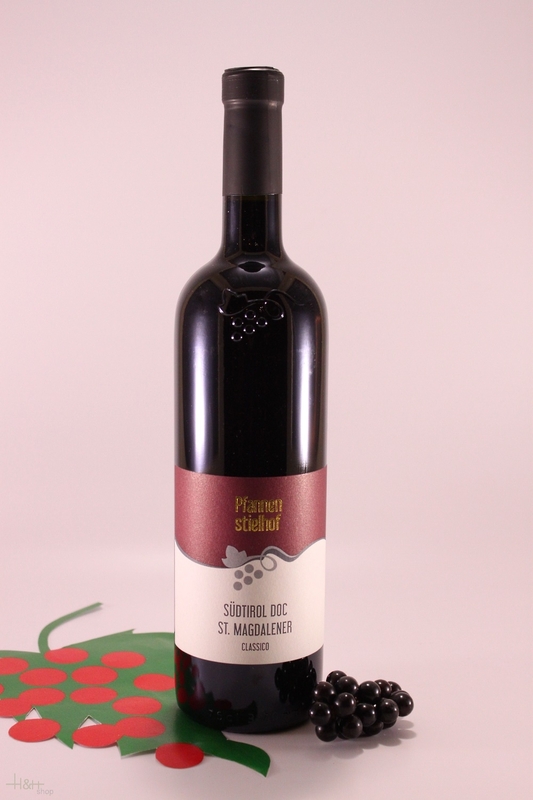 "Doctorwine" has rated the wine "Pfannenstielhof Sudtirol St. Magdalener Classico, Trentino-Alto Adige, Italy" from the vintage 2014 on 06.07.2015 with 91 of 100 points.
" 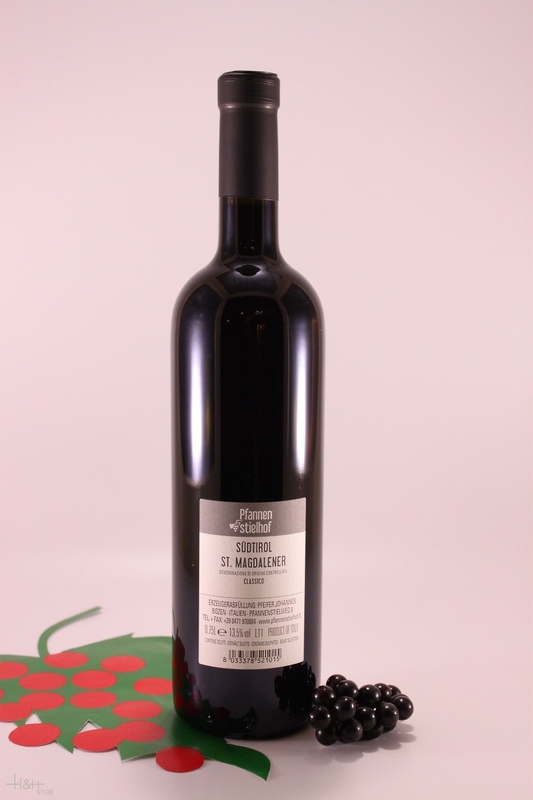 Made from Schiava grapes with a 5% addition of Lagrein, the wine ages in both stainless steel and cement vats. Its infiltrating aromas of spice, wild berries and citrus usher in a fragrant, fruity and mineral mouthfeel that has a captivating ease. The drinkability is simply overwhelming (I can personally attest to this) thanks to how fresh and juicy it is. An ideal red for the summer. " "Falstaff Magazin" has rated the wine "Pfannenstielhof Sudtirol St. Magdalener Classico, Trentino-Alto Adige, Italy" from the vintage 2015 on 06.07.2016 with 91 of 100 points. "Vinum Wine Magazine" has rated the wine "Pfannenstielhof Sudtirol St. Magdalener Classico, Trentino-Alto Adige, Italy" from the vintage 2013 on 01.08.2014 with 14 of 20 points. "Vinum Wine Magazine" has rated the wine "Pfannenstielhof Sudtirol St. Magdalener Classico, Trentino-Alto Adige, Italy" from the vintage 2009 on 01.10.2010 with 16 of 20 points. "Vinous Antonio Galloni" has rated the wine "Pfannenstielhof Sudtirol St. Magdalener Classico, Trentino-Alto Adige, Italy" from the vintage 2008 on 01.10.2009 with 88 of 100 points.